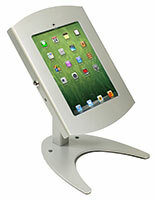 This iPad stand for desktop supports Apple® technology inside a scratch-resistant enclosure. 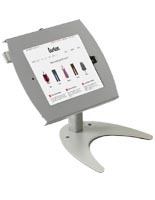 Tablet accessories such as this touchscreen display with a VESA bracket can be bolted onto a flat surface via pre-drilled holes for additional security. 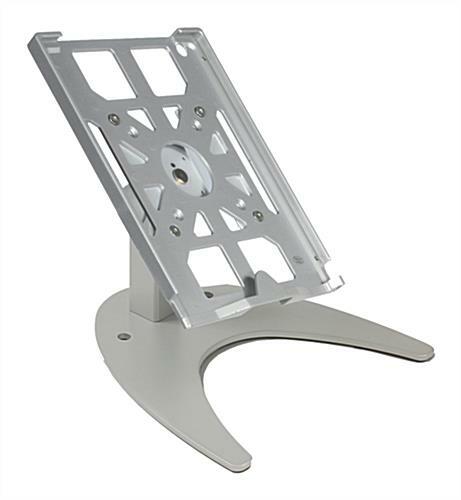 This stand for desktop mount is a smart device holder with a small footprint. 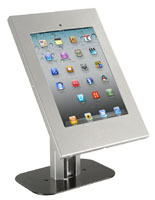 These touchscreen displays have two panels that are attachable to the bottom of the holder with an option to expose or hide the "home" button. 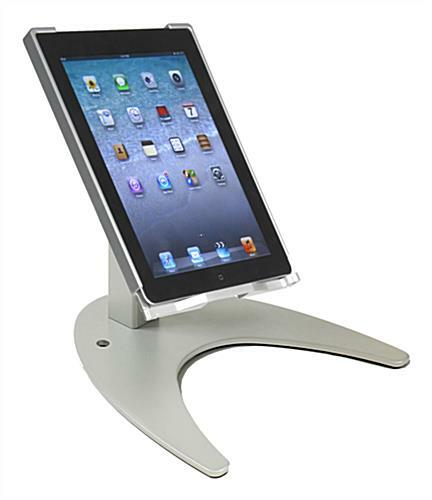 This portable stand with desktop mount tilts and rotates for flexible views at trade shows, in hotel lobbies, and in retail stores. 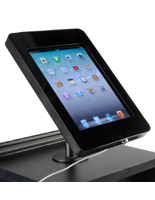 8.6" x 14.5" x 9.3"
7.5" x 10.0" x 0.6"